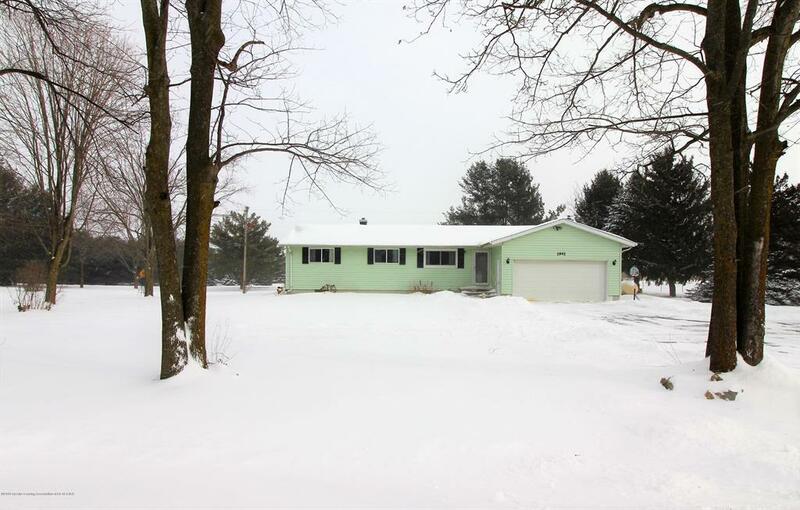 Charming 3 bedroom, 1.5 bath home on 1.4 acres! Brand new carpet in throughout home. Picture yourself in this inviting home, sitting in the family room, cozy next to the fireplace, staring out the sliding glass doors onto the back deck, smelling the delights from the kitchen! With 3 bedrooms, full plus half bathroom, two living areas, and attached 2 car garage, this home is all about ease and comfort! The basement is partially finished with separate areas. Large yard with storage barn. Don't miss your chance to call 1941 S Royston YOUR home! IDX provided courtesy of Realcomp II Ltd., via Laura Delong Realty and Greater Lansing AOR MLS, ©2019 Realcomp II Ltd. Shareholders.